We love to meet and talk with our customers old and new in person, and so try our best to attend as many markets and fairs as we can throughout the year, around the country. There really is nothing quite like hearing what you think of our soap face to face; and we know how useful many of you find it to come and ask us all your soap and skincare questions and sniff the range in person. Indeed, its through chatting with you, that many of our now core soap varieties have come into being! 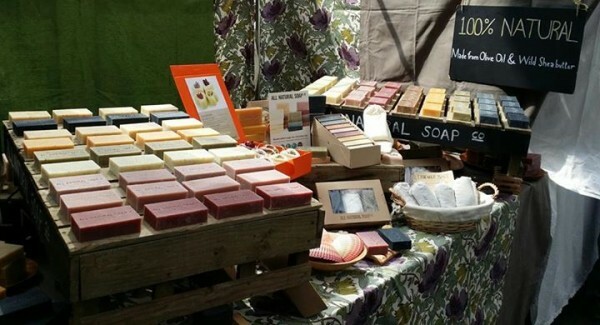 Pssst – It’s always worth visiting our stall if you can, as we often make special soaps for the occasion and have plenty of deals. If you can’t make it to see us and are still after a deal, why not sign up to our newsletter? We’re also always on hand to answer questions, year round, over the phone or email. We will not be attending any markets in 2018.